Healthy eating habits start from your routine grocery shopping. The right meal plan, and what food you buy to support your healthy meal is the first step you can do to fix your eating habits. Experts say that the process of healthy eating starts even before you head to the grocery store. Plan your meals for the week, and create a list to shop from. This way you don’t need to impulsively buy foods (which usually lead to unhealthy eating options) and you can save more cash. Know the floor of your favorite grocery store. Spend the most time in the produce section, which are also usually the largest section in each supermarket. Avoid the center aisles where junk foods and unhealthy snacks lurk. This does not include colorful biscuit and chocolate packaging. The colorful foods that you should choose are colorful vegetables and fruits. The colors reflect the different vitamin, mineral, and other nutrients content of each fruit or vegetable. Yes, you probably found many meal plans that include yogurt in them. But, it’s important to remember that not all yogurts are made with the same ingredients. Take a closer look to the sugar content in the product. It’s better to stay away from flavored yogurts as they usually contain more sugar and additives. In addition to yogurt, milk is often included in healthy diet. But, instead of full-cream milk, buy skin, 1% or 2% milk or a fortified soy beverage as healthier options. Plan to drink two cups every day for adequate vitamin D.
Low-fat meat like fish and chicken are the healthier options than other meat. Steer clear from processed foods like sausage, smoked beef, and canned meat because those contain higher sodium. It’s better to spend more time cooking healthier foods than choosing highly-processed products. 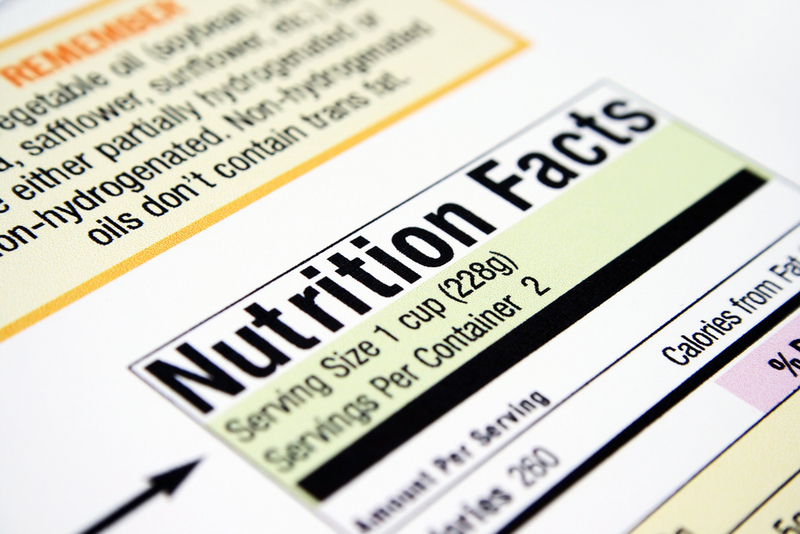 Many “Nutrition Facts” labels are designed to make you think you’re getting fewer calories than you really are. For example, labels list the nutrients on a per-serving basis. But be sure to check the “serving size” and “servings per container” lines. The potato chips that most people would eat all by themselves in a single sitting may say that it contains three servings. If you see “150 calories” on the label, you must make a mental adjustment—you are actually eating three servings, so you’re getting 450 calories. Choose the least processed foods that are made from whole grains, like rolled oat rather than instant oatmeal. If you’re choosing whole-grain cereals, aim for at least 4 grams of fiber per serving, and the less sugar, the better. Also, choose whole-wheat bread and pastas, brown rice, grain mixes, quinoa, and barley which contain more fibers. Choose vegetable oils such as canola, olive, and soybean, low fat-mayonnaise and soft margarine that are low in saturated and Trans fats. Limit butter, hard margarine, lard and shortening. Alcohol, fruit flavored drinks, bottled juice, soft drinks, sports and energy drinks can be enjoyed at times but should be limited if you want to have a healthier eating habit. Those drinks are high in calories, fat, sugar and sodium, which are not good for your healthy diet. If you don’t have much time to go to supermarket, you can always order your favorite healthy food supplies online. There are also many options of organic food suppliers around Jakarta who are ready to deliver your order to your doorsteps. Now you don’t have any excuse to eat healthy!